Beautiful, elegant long black mesh, edge-to-edge jacket is a glamorous look for a special occasion. 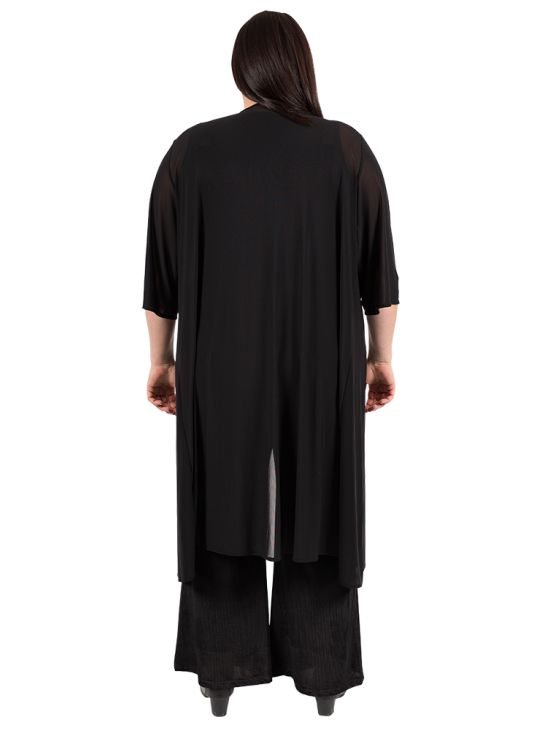 Soft, sheer and very lightweight, it features 3/4 length straight sleeves with stitched hems and a lovely soft, flattering drape. Perfect to complete an outfit, for a stylish, formal outfit for a party or an evening out. Length: Centre back - 109cm (approx). Sleeve: 43cm (approx). Weve taken the confusion and guesswork out of choosing your size, with dual sizing now available across our seasonal range. To make it easier to choose the size thats right for you, weve simplified our size range and introduced more flexible, generous sizing to guarantee a more relaxed, comfortable and flattering fit that wont cling.